Friday's Ring of Honor Final Battle PPV was already getting positive buzz before things got kicked up a few notches when Matt Hardy appeared on a video screen to challenge the Young Bucks in a surprise moment. Following the Bucks retaining the ROH tag titles in a match over the Briscoes, "Broken" Matt appeared on screen and cut a promo saying he and Brother Nero (aka Jeff Hardy) are headed to ROH so they can "render you ramshackle rednecks and spot monkeys obsolete!" before claiming they would delete the Bucks' title reign. No timeframe or specific event for the match was mentioned. ROH does hold their annual Anniversary PPV in February which would be an ideal spot if the match ends up on PPV. The twist here is that the Hardys are currently in TNA and have been hyping their December 15th 'Total Nonstop Deletion' special, leading one to believe they either have a similar deal to Cody Rhodes who is working with both groups, or that the match is a one-time occurrence. That would also lead one to wonder whether this feud would carry into TNA in a show of reciprocation. 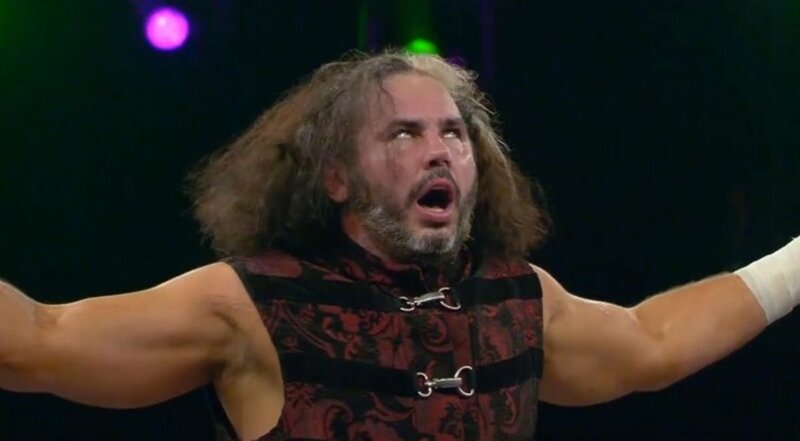 Both Hardys have worked in ROH before. Dave Meltzer and Bryan Alvarez will have more on all the news coming out of Final Battle on a late night edition of Wrestling Observer Radio.